So welcome to the first annual Winter Anime Season Awards. I couldn’t really just ranked the anime one by one. So I decided to publish an award show for all the winter anime for the season. But I just want to give some honorable mentions that didn’t get any awards and deserved some honorable mentions those being Date A Live, Cells at Work OVA, Kakegurui, and Quintessential Quintuplets. They were all anime that I enjoyed and recommend except for Date A Live for reasons. So put that a side here are the winners and some nominees of the SAKE awards. Phil was in contention for my favorite character all year. But then, in the finale he reminded me why he is my favorite character in the whole Promise Neverland franchise with his actions. I just want to give this to a series every season that I know is good. That If I watch is good. And I will know that I will enjoy like Gintama. That season’s anime is Mob Psycho 100 II. Which I have heard the words of a masterpiece towards this anime. So I hope to watch it eventually. I just want to name all of the OPs was amazing and all needed honarbal mentions. Those being Dororo, The Promise Neverland, Boogiepop and Others, Kaguya-Sama, and Shield Hero. All are straight bangers and should be enjoyed to the fullest. But their was one that I couldn’t get out my head called…. There was one antagonist that topped the winter season. From beginning to end was the mother of grace field Issabella. Every scene that she was always tense. To do all those horror thing that she did and have all her composure was crazy. She is also best girl. Kaguya Sama was a masterpiece of direction. From the voice acting to the scenes of over dramatics. To the straight flexing of ED2 was what made a good story to a near masterpiece. So I want to give the sake glass to the whole team that made this classic of a show. But I will also give honorable mentions to Dororo and Shield Hero. They had beatiful direction and made waves with their own anime’s. But Kaguya stood above the rest. This year had a lot of contenders. 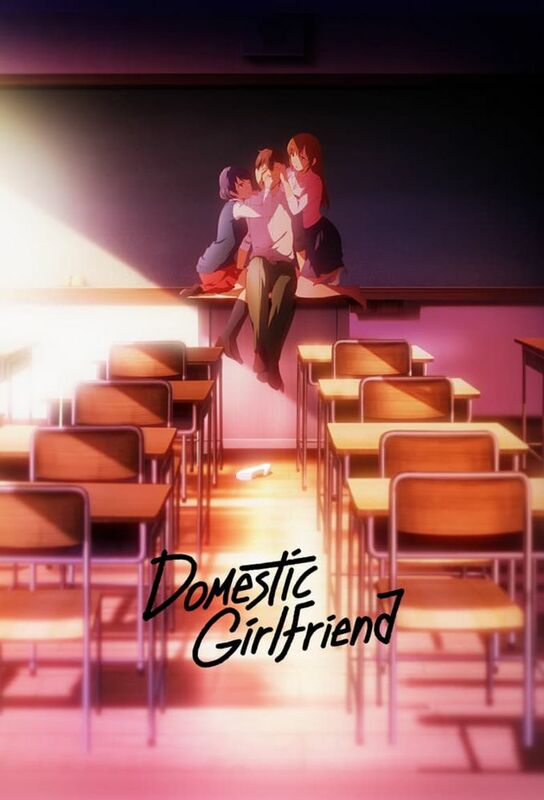 As the Domestic Girlfriend had two gems in the younger sister Rui, a girl that I would marry in a heartbeat. Along with Momo, a girl that must be protected at all cost. Date A Live had that Kurumi greatness as usual. Still being the only thing that make me continue in this franchise. With that you can have the hot things of the season with Raphtalia and more toward the end of the season Hayasaka made wave. But their was only one girl that made me during smile the whole season and that was Chika from Kaguya Sama. She is without a doubt the best girl of this season.She had some of the most hilarious episodes. A every movement that she made was a meme. She is a person that will always put a smile on your face. While also being someone to challenge one of the 4 Ramen Kings. Nafumi was one of the most misunderstood greatly written characters this year. While Emma was one of the most shonen main characters that you have to root for. But, only one can win this and he didn’t have to say a single word (even though he said a couple since he got his voice back). That being Hyakkimaru from Dororo. He speaks very few words and is without a doubt my favorite character this season. He is on a mission, he must fight, but with every piece of humanity that he receives what will he become is the question. Now this season had multiple classics that will be remembered. With the Shield Hero driving in popularity and pushing into spring. Along with that the Promised Neverland having a perfect adaptation to the manga. Then the series Dororo being a close number one that is gonna be a masterpiece when it is all said and done. But, anime of the season had to go to a anime that made me buy every volume of the series without reading a single chapter. 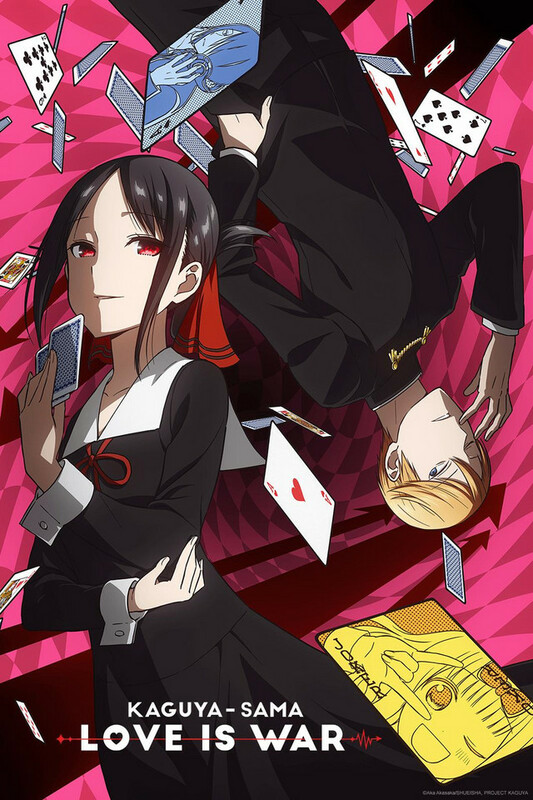 That being the comedy and romance of Kaguya Sama: Love is War. It was one that will get its own review later in the year. When every episode feels like a minute. You know you found a good series. From the direction, to the OP, the voice actors, and the narrator. This series is one that I highly recommend. This season was a huge one with a multitude of hits. 2 series that I will hold close to my heart. But with that, another season has came and gone. Now we are off to the spring with a bald headed man in the headlines. But until next time ありがとうございました, to my A&M people.